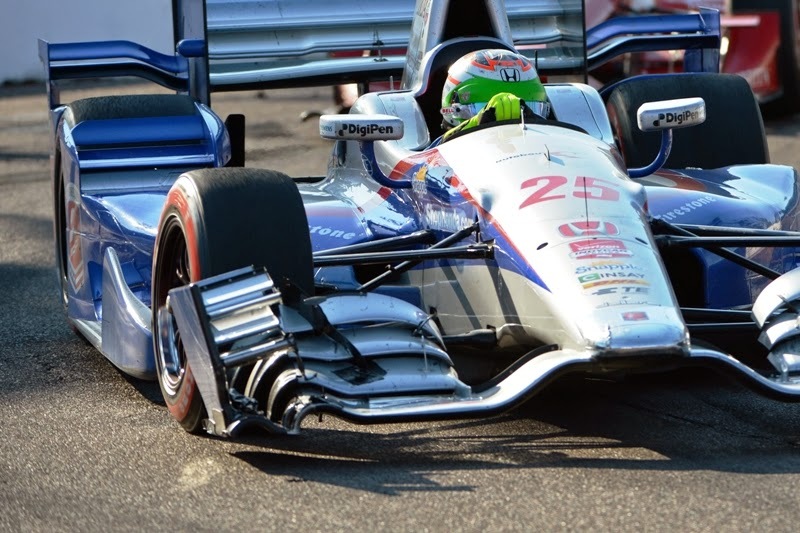 This article is going to start off with an apology, I'm not an IndyCar fan, I've caught bits and pieces in the past but have yet to be inspired to follow the sport. Time is my enemy, with F1 taking up pretty much all of my spare time. However, the introduction of the aero kits by Honda and Chevrolet has given me the incentive to take another look at the sport. So I've done a little leg work and looked through the regulations and understand which sections can be switched out for the race type and qualifying/race, which could make for some interesting strategical decisions throughout events/the season, I guess. 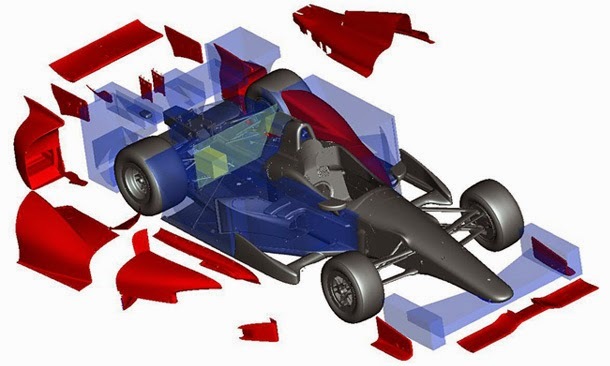 This diagram from IndyCar.com shows the areas that can be homologated by the aero manufacturers in red, which in brief include the front wing, sidepod panels, engine cover, rear wheel wedge, rear wheel crash bumpers and rear wing. 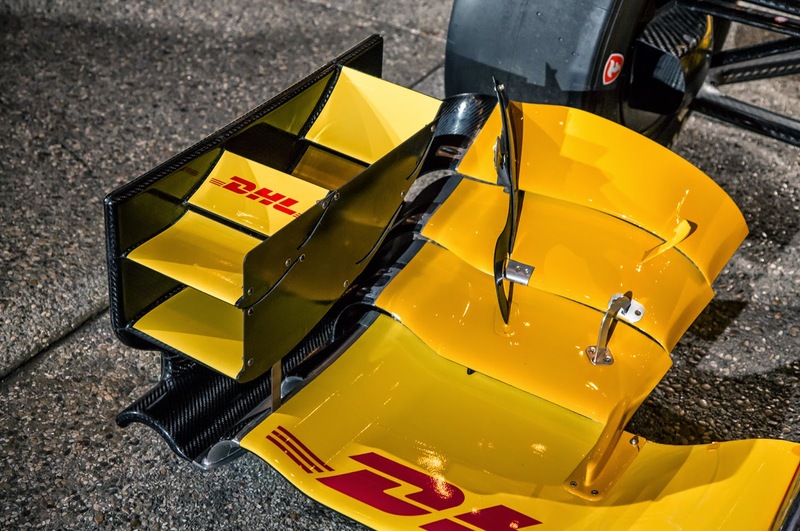 Honda and Chevrolet have looked at this differently and come up with aero kits that look outwardly different so lets take some time to look at what they're looking to achieve. I think the first thing to note is that Chevrolet have taken the Dallara design and simply looked to improve it, rather than going for an all new radical design concept. In terms of the mainplane the shaping is retained until the outer section with the wing extended to almost the cars full width, which means contolling the front tyres wake much more effectively (tires for my American friends). The outer section of the wing is normally home to an endplate, used to increase the aspect ratio of the flaps that sit inboard of it. 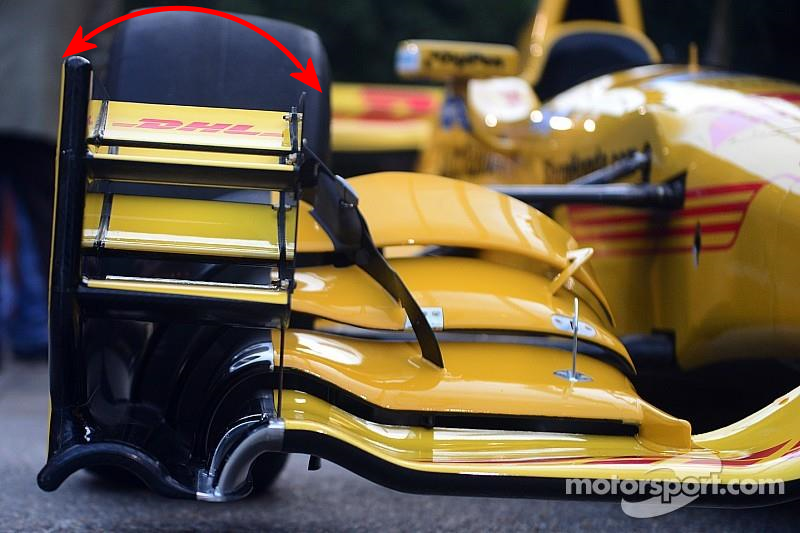 However, the Chevy kit doesn't have a conventional endplate, but rather a Venturi which funnels out toward the tyre (see below, yellow). 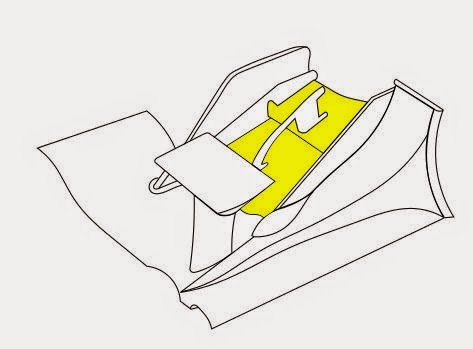 Fed by the semi-circular arc in the mainplane it accelerates flow around the outside edge of the front tyre, which when the wheels are steered should also increase the performance of the flaps. If we return to the CFD plots above we'll also note that there is a change to the pressure at the base of the tyre, with the red (high pressure) plot dissipating, resulting in reduced drag. You'll also note marked in darker yellow Gurney (or Wickerbills as it seems my American friends call them) trims are added. 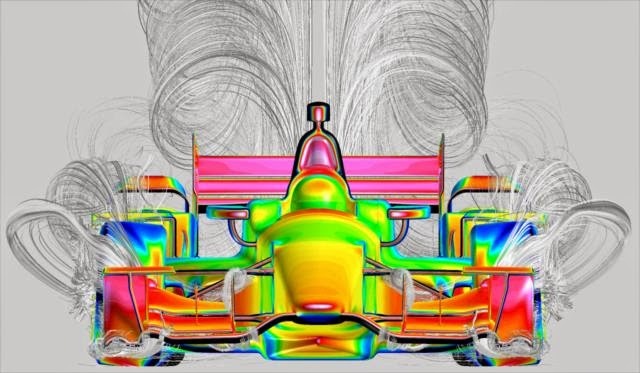 Assisting is something we are used to seeing in Formula One, a footplate arc (marked in yellow, above) which creates a more compact, elongated vortex that'll control the front tyres wake and also pull on the aforementioned venturi. Starting from where the Endplate would ordinarily reside Chevy have opted to place a Cascade winglet, normally supported by the endplate on an F1 car this initially looks a little odd. However, it serves the same purpose, of conditioning the oncoming flow, upwashing it over the front tyre, without adversely affecting the flap performance below. 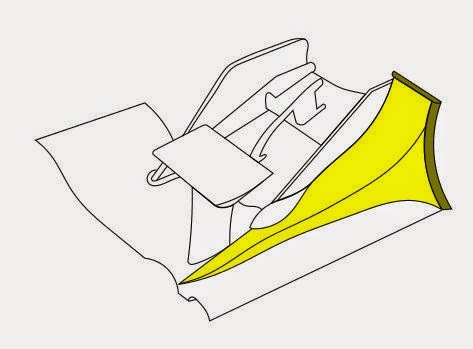 The flaps themselves have also been changed in size and shape to create more efficient downforce, with the upper flap significantly reshaped in order to change the vortices that roll off of it (see below for an indication of the sort of streamlines in play). For the uninitiated a vortex (plural: vortices) are created when pressure gradients collide, these can be both destructive or useful depending on how they're applied. 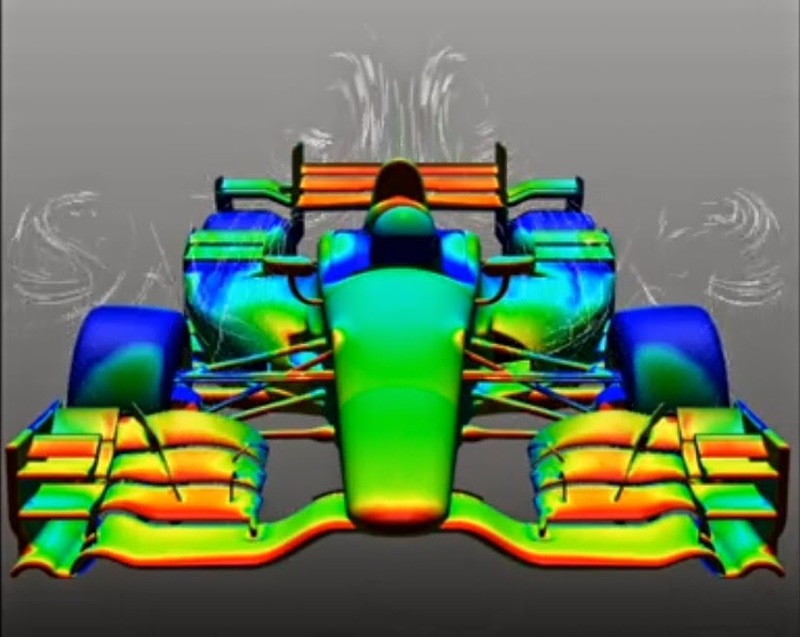 Although perhaps not entirely accurate (to protect their data) we can see below that the vortex created off the inboard flaps and inner endplate flows around the cars sidepod, increasing the aerodynamic performance of that region, likely with the upshot of cooling the engine better too. Returning to the two CFD plots (above) you'll note just how different the pressure plots are, especially in terms of the impact seen on the tyres front face. These changes will clearly have an impact on L/D, changing the mechanical performance of the car and tyres and require similar effort to be made toward the rear of the car to maintain the centre of pressure. Moving onto Honda and from the outset the Honda front wing looks much more like the type of thing you'd expect to see from an F1 team, albeit one with a lower budget. The wing has a 3 flap configuration with the mainplane treated to an extra slot at the most outermost edge. 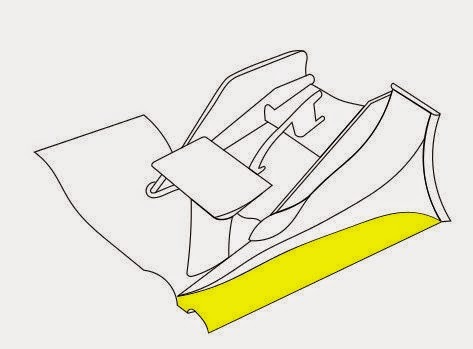 Unlike the Chevy design the flaps are not sandwiched between smaller endplates but shaped to maximise vortex generation at their inboard tip and arched like the mainplane to expand and shape the airflow outboard. 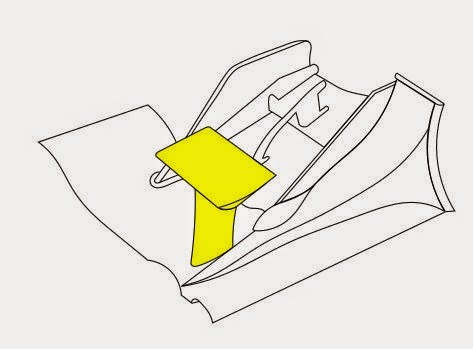 Like Chevrolet the Honda design sees the wing stretched to cover the tyres full width in order to control how the tyre wake affects performance downstream. The CFD plot above can't be used as a direct comparison of the Chevrolet ones but highlights that they're both looking to achieve similar goals. I'm a little surprised that they opted to mount the endplate on the most outer edge of the wing as although it maximises the flap area available it opens up other compromises. From an aerodynamic perspective it reduces the ability to outwardly turn the airflow, using the footplate vortex as a means to direct flow. From a practical point of view it makes the cascade vulnerable to damage, which will then have an impact on performance. The other issue I noted with the Honda runners and their cascade elements was how they're supported, you'll note in the uppermost image that an inner endplate is also in use, keeping all the cascade elements in check. This endplate was nowhere to be found in St Petersburg which undoubtedly puts more stress on the cascade elements and outer endplates as they rotate under load (see arrow on the image above). This clearly wasn't the only reason for scenes like the image below but it will have undoubtedly had an impact. Based on the St Petersburg race it would be clear to see that the Cheverolet teams currently have an advantage over their Honda counterparts. However, the complexity of the Honda package will result in a learning phase as it's such a departure from what the teams might be used to. Those that follow F1 will note that Jenson Button made reference to his own break through with McLaren's front wing philosophy in Malaysia, with the Woking based squad having changed tact for 2015 (in a similar vein to the old vs new Honda front wing package).